If you're from the South, your yard has to have at least one azalea but chances are you've got them everywhere. When these evergreen shrubs begin to light up our landscapes with pops of color, this is how we know that Spring has sprung! Spring isn’t the only time to get your hands in the dirt. 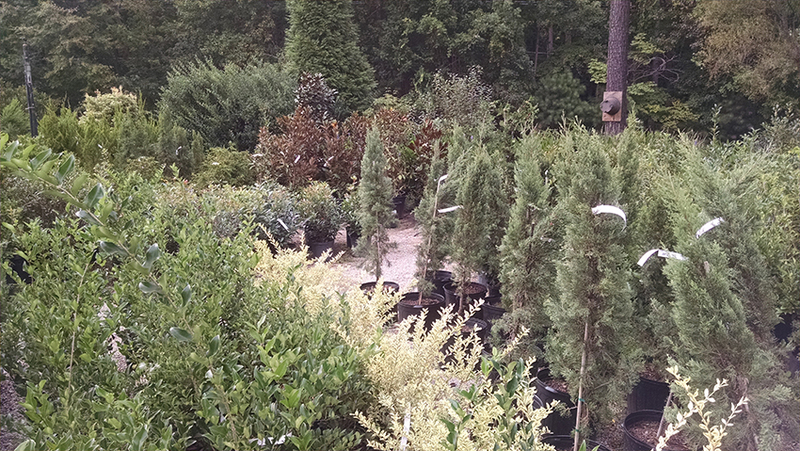 Believe it or not, fall is the best time of year to plant trees and shrubs in North Carolina. So if you’re thinking of adding on to your landscape, now is the time to pick your plants and get out the shovel. As we begin to transition from summer to fall, now is prime time to plant trees and shrubs. If planted now, trees and shrubs will put all their energy into root growth. Roots will grow throughout the winter months to store nutrients for next season. Trees and shrubs need less water during winter, because shorter and cooler days decrease the rate of photosynthesis. Trees planted in the fall are better able to withstand the heat and drought of the next summer. Soil is warmer now than it was in the spring, and it will remain warm even after air temperatures start dropping. Pick a good location for your tree or shrub that will provide it with the appropriate amount of sun or shade and meet its moisture requirements. Dig a hole that is twice as wide as the root ball and no deeper (the top of the root ball should be above soil level). The root ball will lower a bit as the soil settles, and you don’t want it to end up too low in the ground. If planted too deeply in the ground, the plant can suffocate because not enough air will reach the root system. Break apart and loosen the roots if they are pot bound, so that they can more easily spread out once in the ground. Once your hole is dug, use the shovel a few times in the bottom to loosen the soil and make it a little easier for the roots to expand outward. Amend the soil with composted cow manure, soil conditioner and organic fertilizer. Organic fertilizer is good to use in the fall because it contains a healthy dose of good bacteria and micro-nutrients, so it isn’t going to drive a lot of foliage growth, but will help the root system immensely. The mixture should end up being composed of a third of the existing soil, a third cow manure and a third soil conditioner. In addition to that mixture, we suggest using Espoma Bio-Tone. This is a starter fertilizer that contains myccorhizae (a type of fungi that roots rely on to help them gather nutrients) and other beneficial micro-nutrients that will help the plant establish a bigger and healthier root ball. Spread a couple inches of mulch over the area to protect the roots and water well. Trees and shrubs have high water needs as they attempt to establish a strong root system. Any tree or shrub that has been grown in a container or has burlap around its root ball can be planted in the fall. Do you have more questions? Stop in and see one of our friendly staff members who would be glad to assist you with your fall planting needs! As a weeping tree, Snow Fountains Cherry features cascading branches that dip all the way to the ground, giving it the appearance of a white fountain when covered with pure white flowers in early spring. Reaching a height of 15 to 20 feet at maturity, the Star Magnolia boasts star-burst white blossoms in March and April, making it one of the true harbingers of spring. The Red Bud's rosy pink flowers appear in early spring, March-April. Reddish-purple leaves change to dark green, then to yellow. Forms a spreading, graceful crown. These early bloomers sport the vibrant yellow flowers that have become a fixture of our spring dreams. Their flowers precede their leaves. Border forsythias are fast-growing shrubs with an upright and arching form. The deep red buds of Kramer's Supreme open to magnificent peony-like, rosy-red blooms with a delightful fragrance. Flowers make a dazzling contrast with the glossy, dark green foliage. Although a favorite for winter plantings, the pansy will add luscious color to the landscape throughout spring and into the early heat of summer and work well in container plantings, hanging baskets, and garden beds, alike. Stock offers a wonderfully spicy, distinctive scent. Plant it in spring several weeks before your region's last frost date -- this annual thrives in cool temperatures and stops blooming once hot weather arrives. It's especially wonderful in window boxes and planters at nose level, where its sometimes subtle effect can best be appreciated. Perennial Candytuft sends up showy blooms very early in the spring. Flowers are startlingly bright white on shrubby little plants with needle-like leaves, and when in full bloom, they cover the entire plant. Geraniums have been a gardener's favorite for well over a century. The old-fashioned standard for beds, borders, and containers, geranium is still one of the most popular plants today. The Chocolate Chip Ajuga's evergreen foliage is attractive year-round, showing off a satin sheen finish embossed with rich hues of chocolate brown, bronze and maroon. Don't let all this beauty fool you though; it is as tough as it is gorgeous and can even withstand light foot traffic. For more great blooming plants and all your gardening essentials, stop by the garden center. We've got loads of fresh arrivals coming in weekly and all the gardening help and advice you're looking for. Hope to see you soon at Garden Supply Co.!